It's that time again-- another Handmade Confession. 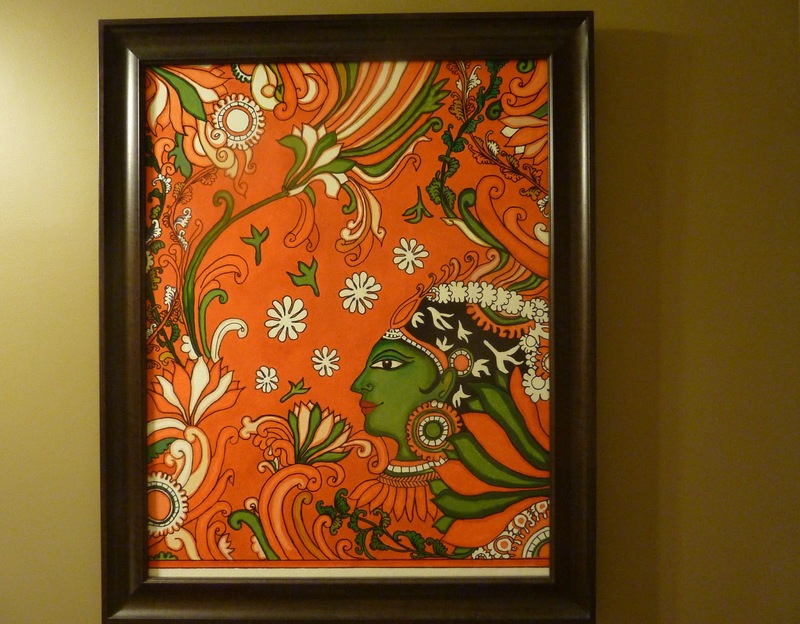 Today we have the incredibly talented Vidya from What's Ur Home Story. 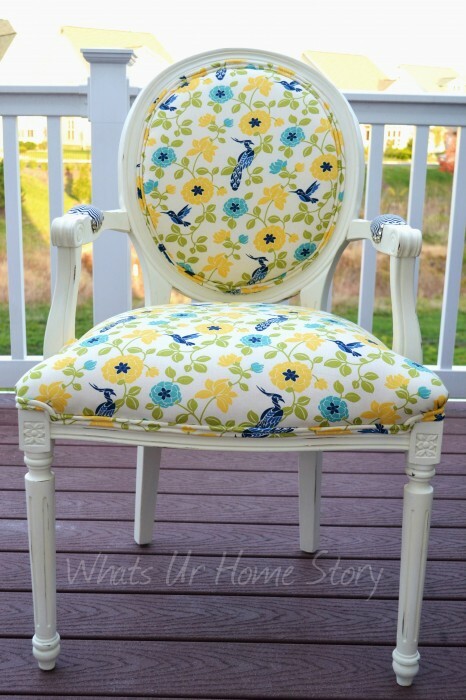 Vidya's blog is full of amazing home DIY's-- like this painted and reupholstered chair. She also has a great collection of pillows... I fell in love with felt circle pillow the first time I visited her blog. She's also an amazingly talented artist... check out this painting-- I couldn't believe she created it herself. Then I watched an episode of House Hunters and knew exactly what this post was going to be about. Every time someone on that show walks into a room with let's say a not so great paint job and exclaim, "What were they thinking?" I cringe and say out loud, "That could have been our home! The kids' room!". Rewind back to 2009, my pre-blog days in our NJ town home which we were getting ready to put on the market. 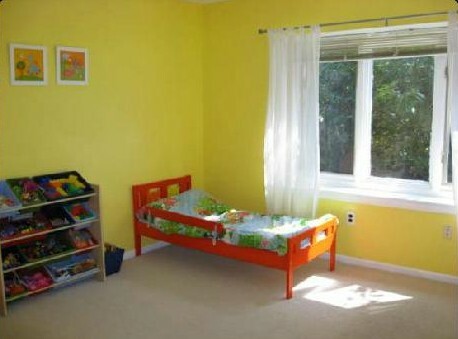 That's when I decided I wanted to paint the kids room yellow! If you've worked with yellow paint you know that yellow is one of the hardest colors to get right as it almost always looks at least three times brighter on the wall than on the paint strip. Little did I know this universal fact when I decided to jump in without even trying out a test patch. Another rookie mistake, I opted for semi gloss finish. You know, the only thing I took away from a earlier conversation with a Home Depot paint dept rep was that it is easier to wipe away finger prints etc on semi gloss. My logic was, kids room = lots of finger prints = Semi Gloss. [Insert really heavy tragic background music here.] The paint was actually GLOSS! It looked ghastly on the wall reflecting every ray of sunlight that flowed in through the three big windows next to it! I let out a cry of despair and for the next 10 mins stared back and forth at the wall and the paint can. I also painfully or rather gleefully realized (as I was glad to get rid of the GLOSS) that we had grossly miscalculated the amount of paint we needed and were out of paint. Hubby was sent back to the paint store (he refused to go to HD this time and went to the Walmart which was closer, another no no) with specific instructions to get "Semi Gloss". For the second round I made sure to check the label on the paint can before I started and it read "FLAT"! Seriously? This was one of those projects that was set to doom from the start! Naturally I went bonkers but hubby put his foot down and said we'll just use what we have. On a side note, he bought quite a few other paints, all flat, that day for the rest of the rooms. So there might have been a legit reason for the mix up. Coming back to the story, the "FLAT" finish actually ended up being a blessing in disguise. It kind of toned down all that gloss paint on the other wall. Somehow the other three walls now absorbed all the light that bounced off of the gloss wall. Still, when staging the room we had to use a lot of white in curtains, art, and other accessories to tone down all that yellow. The rule "go a shade or two lighter than the color you like on the paint strip" should be set in stone when it comes to yellow. Double check your calculations on the amount of paint you need and get it all from one place at the same time. Before you leave the paint store, make sure the paint finish is what you had asked for. Save the GLOSS finish for your trim. PS: I haven't touched yellow or gloss paint (except for my tone on tone stencil) ever since! :) Thank you so much for having me here, Palak! Have a great weekend. That is an incredible shade of yellow Vidya!!! Dont worry-- I have my own share of paint horror stories that I'm not brave enough to share ... yet. In my defense, I didn't know about those little tester bottles until recently. 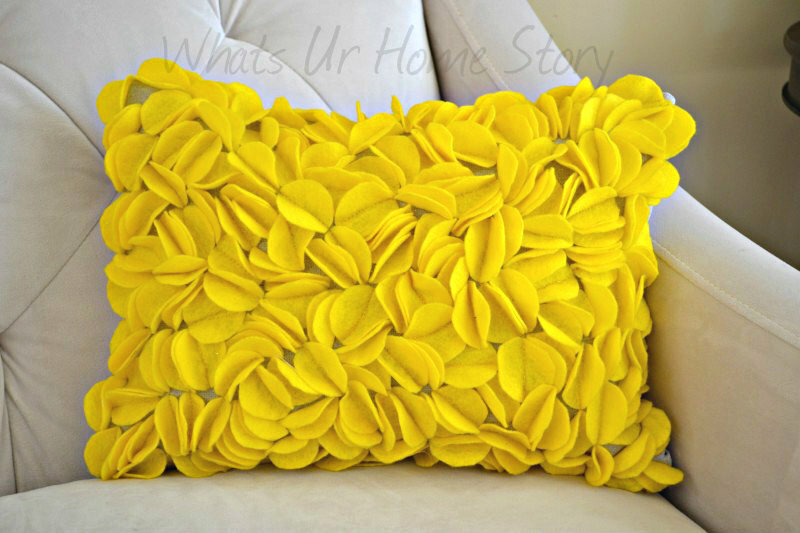 Don't forget to visit Vidya at What's Ur Home Story and check out her gorgeous projects! I hope you all have a wonderful weekend and I'll see you back here next week!